Strength training is an important part of an overall fitness program for women. Pumping iron isn’t just for guys. Muscle mass naturally diminishes with age, and women need to work on building muscle to stay strong. Research shows weight bearing exercise also improves bone density. 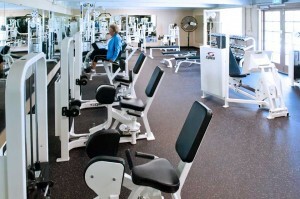 Our full range of resistance weight machines were chosen to fit women’s workouts. We also have free weights. Each member is instructed in proper use of machines. Experienced trainers are available at an additional charge to help you design a custom workout. Shirlee’s provides everything you need to build upper, lower, and core strength as well as bone health. Muscle strengthening is also incorporated into our wide range of classes.